Strap In for a Better Workout | Valet. "To be perfectly honest, when this product first hit the market in the mid-2000s my initial reaction was, "Meh," says San Diego-based trainer Pete McCall. But it only took strapping in for one workout to make a believer out of him. 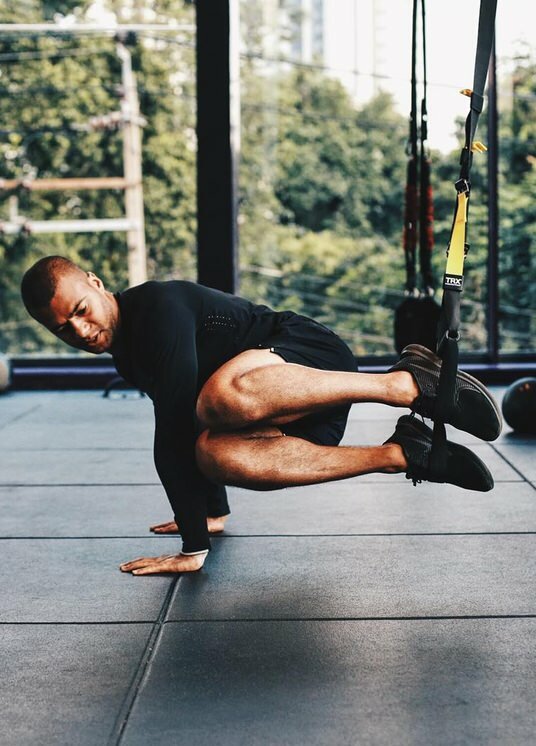 Don't let the minimalist design fool you: Suspension trainers like TRX offer distinct advantages over barbells and dumbbells. Truth is, you don't have to use stacks of weights to build muscle. Suspension training uses your own body weight and the benefits of gravity to engage more muscle groups at the same time. 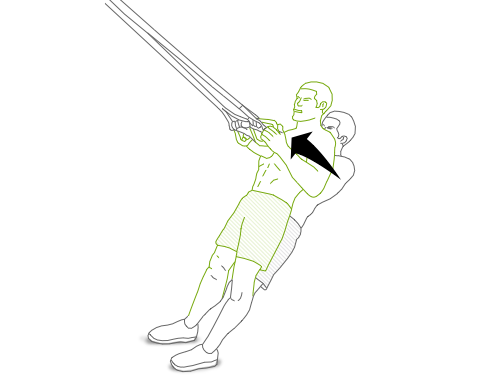 The straps add an element of instability, which turns something as simple as a chest press into a full core-stabilization exercise. The result? True strength and real results you can see and feel in your body. 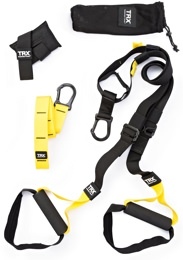 Invented by a former US Navy SEAL, the first TRX (short for total-body resistance exercise) was built from materials that were just lying around: a jujitsu belt and some parachute webbing. Today's kits are a bit more polished, but no less rugged and retain a key function of the first model—portability. No gym at the hotel? Don't have a place to exercise after work? No problem. "That's one of my favorite features—it's completely portable," says McCall. "Also I love the fact that I can train outside, all I have to do is throw it in a bag or the bottom of my kid's stroller and voila - instant gym at the park." 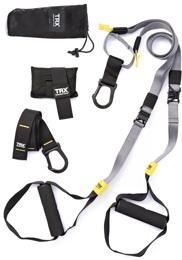 There are dozens of exercises you can do on a TRX system, but McCall suggests the following for a quick, full-body workout. Do 45 seconds of each exercise (use slow, controlled movements) followed by 20 seconds of rest. Go through the four moves in order twice. Hold the handles in your hands, facing the anchor point and lean back until your body makes a 45 degree angle to the floor. Make sure to keep your core engaged and, bending your elbows, pull your chest to the handles (keeping your body straight). Pause, and return to the starting position. Grab the handles and face away from the anchor point with your feet a shoulders width apart. Extend your arms straight in front of your chest and walk back a few steps so your body leans forward. Keeping your body straight, bend your arms to lower your chest until your upper arms are parallel to the floor. Pause; push back up. Use the same starting position as the TRX row, but instead of extending your arms in front of you, hold them at 90-degree angles with your elbows by your sides and the handles at chest level; there should be light tension on the straps. Push your hips back and lower your body until your thighs are parallel to the floor. Reverse the move to return to the starting position. 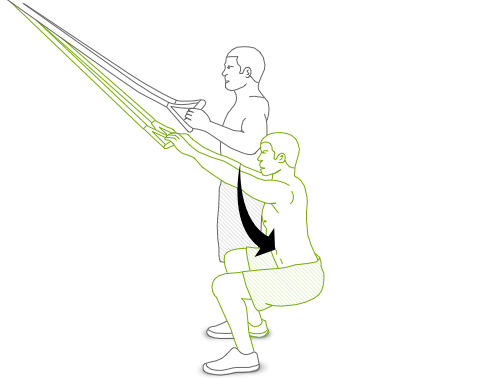 Place feet in the straps of the TRX and perform push-ups. Maintaining a tight core, slowly lower yourself while keeping your balance. Once your upper arms are parallel with the floor, pause, and return to the starting position bringing your knees in towards your elbows, feeling the contraction in your abdominals. Finish by extending your feet back into the starting position. If you don't apply even pressure to both handles, they'll 'saw' back and forth, throwing you off balance (and increasing your risk of injury). Another sign of bad form? 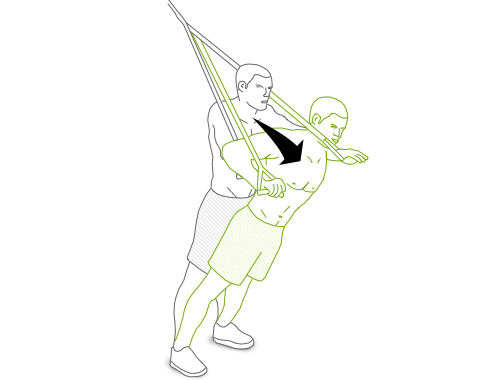 When the straps rub against your arms which, in the TRX world, is known as "scraping."